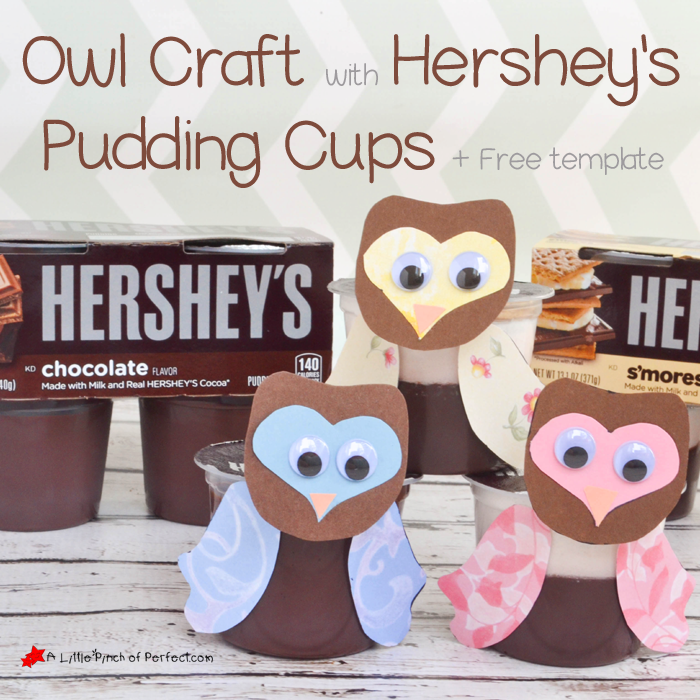 Make snack time a craft time with our free owl template and Hershey’s Ready to Eat Pudding cups to make your day a little sweeter! 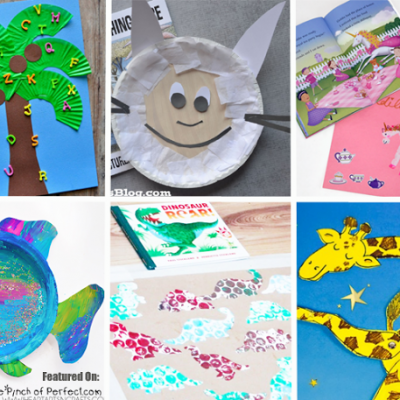 The owl craft is easy to make so kids don’t have to wait long before digging in. 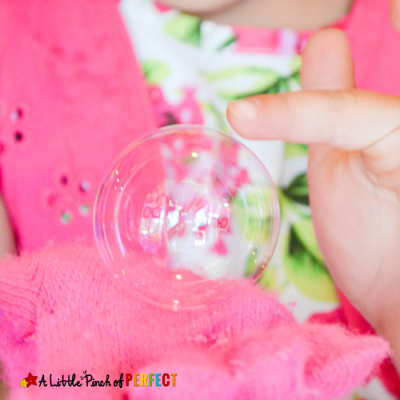 Your kids will have a hoot making their super cute owl to enjoy together. 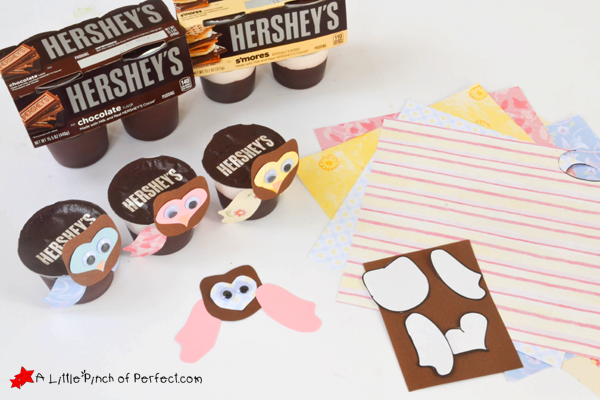 We love dressing up our food to make it fun to eat, so once we got a hold of Hershey’s Pudding cups with its rich brown chocolaty goodness, we got out the craft supplies then enjoyed a yummy treat together. You should have seen the smile on my kiddos faces-priceless! 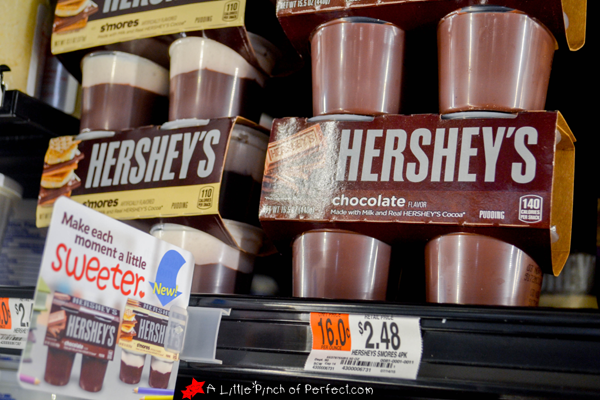 If you haven’t tried Hershey’s Pudding yet, we picked ours up at Walmart in the refrigerated section next to the yogurt. While you are at the store you can grab a copy of ALL YOU Magazine (September and October) for a $.55 off coupon to save some money at the check stand-Yay! 1. 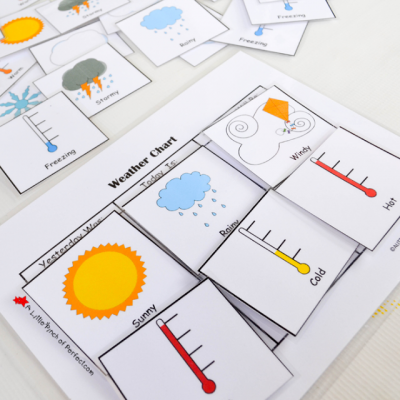 Print out the owl template and cut it out. 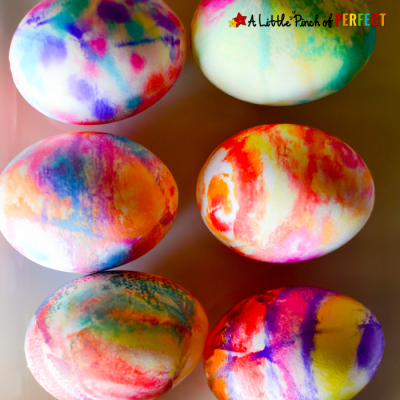 If you would like, the kids could use markers or crayons to decorate the owl pieces to make them extra special! 2. Glue eyes on the heart shape, glue the beak on the heart shape, and then glue the heart on the head. 3. 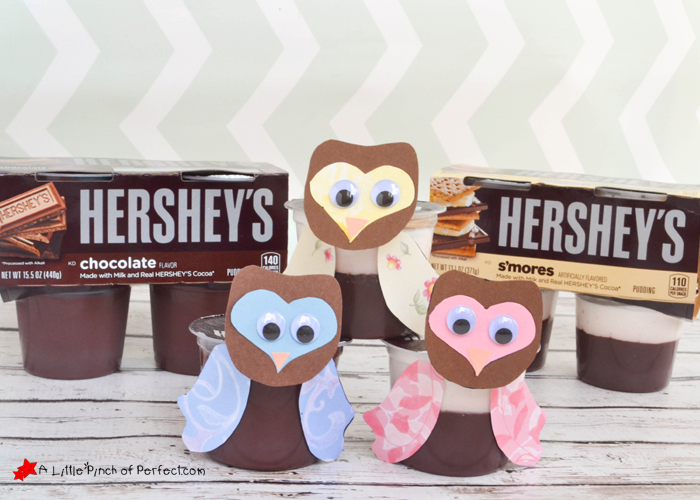 Glue the owl pieces onto the Hershey’s Pudding cup and enjoy! These little owls will fly out of sight during snack time, after school, parties, or whenever you feel like eating some pudding–Mmmmm! Be sure to check out more tasty ideas with Kraft Foods here, Kraft Foods Facebook Page and Kraft Foods Twitter Page. 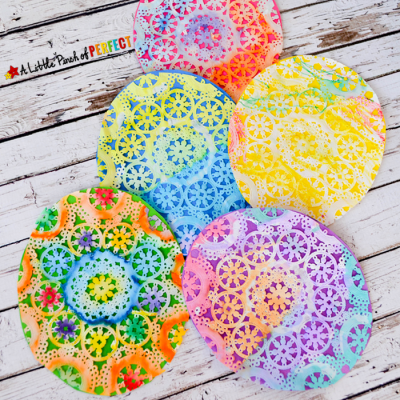 Thanks for crafting with us today and thanks to Walmart and Hershey’s Pudding for inspiring today’s post.